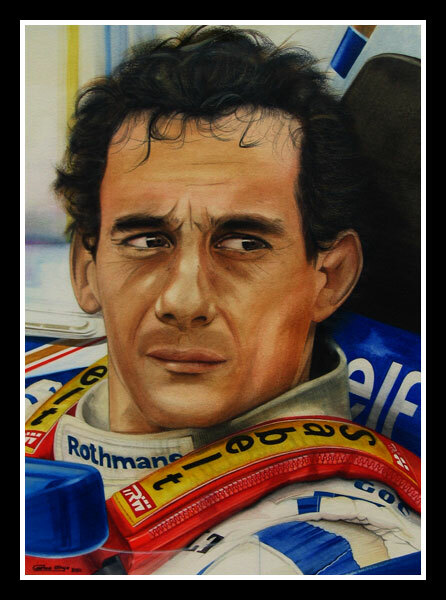 Ayrton Senna da Silva was a member of that elite group of triple World Champions and one can only guess at what he could have achieved with Williams had the events of May 1 1994 not intervened; he could well have won five or six titles. As it is, his record of 65 pole positions isn’t likely to be broken. Sure, he very often had the car with which to do the job, but that total says a lot about the man. He came to prominence in karts and made his car debut in British FF1600 in 1981. He quickly moved up through FF2000 and F3, winning all the way, before moving into F1 with Toleman in 1984. Second place at Monaco in the wet was a sign of his talent. He then spent three years with Lotus before joining McLaren in 1988; three World Championships followed. His move to Williams for 1994 should have marked the start of a new era, but his crash at Imola changed all that. Simply, Senna was the quickest, most gifted driver of his generation and he had the intelligence and determination that every top driver needs. He also had an indefinable star quality, a presence that lifted him above the rest. His eloquence (even in his second language) and many references to his religious influences further separated him from the average racing driver. Few were allowed to get too close to him, but those who did remember a very special man.